Every year around 70 million items of mail are handled by Guernsey Post. Our operations network provides a vital service for thousands of individual and business customers throughout the Bailiwick of Guernsey, including those on the smaller islands of Alderney, Sark and Herm. As well as providing its own wide range of dedicated products and services, Guernsey Post is the agent for Royal Mail services such as Royal Mail Special Delivery; for world leading services such as FedEx; and for Data Post and Parcel Force deliveries across the Bailiwick. Guernsey Post is an operation that delivers in more than one sense. As well as getting millions of letter, parcel and package items to their correct destination, we operate a strong network of outlets where many thousands of our customers come to us for help and support. Our comprehensive retail network comprises 12 different post offices. They offer everything from stamp sales to lottery tickets and mobile top-up cards which collectively give Guernsey Post a real presence in every corner of the Bailiwick. The stamps produced by Guernsey Post are collected worldwide and are renowned for their design and quality. The first independent Guernsey postage stamps were designed and printed in 1969. Guernsey Post now produces 12 issues of stamps every year. Over the decades many aspects of island life have been celebrated and significant occasions commemorated through our Guernsey and Alderney stamps. Subjects of past issues have ranged from the sea and the natural world to agriculture and horticulture; from cars and transport to Royalty; and from sport and the arts to our maritime and military heritage. As part of our day to day involvement with the community, our postal workers are often complimented on their contribution to the wellbeing of the communities they serve. These are often small unreported acts of assistance but sometimes are more prominent and occasionally life saving. On a formal basis we channel our support for the community through our "Supporting Together" initiative. This initiative encourages all of our employees to give time and raise money for good causes. In most cases Guernsey Post will match a financial contribution or provide resources to kick-start fund raising initiatives. The events supported involved over 90 of our colleagues. Guernsey Post has achieved Investors in People (IIP) Gold Standard Accreditation. We are the only utility in Guernsey to achieve this level of IIP endorsement. 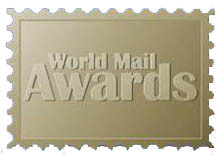 In 2011 Guernsey Post was presented with a World Mail Award for its work in people management. The award recognises the hard work demonstrated by all Guernsey Post employees and unions to change workplace culture and develop the business. Guernsey Post has achieved Investors in People (IIP) Silver Standard Accreditation. We are the only utility in Guernsey to achieve this level of IIP endorsement. IIP is an excellent benchmark for good business practice and provides the company with an action plan to ensure its continued development. The award has been granted to us in recognition of our exemplary practices in promoting opportunities for the recruitment, retention and development of workers who are aged 50 and over. Health and Safety is a key focus within Guernsey Post. As a business we are delighted to have won the award and followed it up with a 'Highly Commended' at the annual GOSHA Awards 2011. This award is an excellent recognition of everyone's commitment at Guernsey Post to maintain a safe, secure and comfortable working environment. If you act in contravention of subsection 3.2 you shall be guilty of an offence and liable upon summary conviction to imprisonment for a period not exceeding three months, or to a fine not exceeding level 4 on the uniform scale, or to both. You shall not be exempted from proceedings under this section if a postal packet to which this section applies is detained by or under the authority of an authorised person pursuant to section 3 and not delivered in due course of post. An authorised person, who has reasonable cause to suspect that a postal packet has been posted or is being sent in contravention of any provision of section 3, may detain and open that postal packet in a universal postal service post office so as to inspect its contents. You agree to pay Us without demand all those charges as specified in Our Price List as and when such charges become payable by You to Us in accordance with the terms of these Terms and Conditions and any applicable Services Terms and Conditions. We may from time to time require You to pay a deposit. If a deposit is required, We shall notify You of the amount and You shall pay us immediately. We may credit any such deposit against any charges due to Us or in discharge of any of Your liabilities to Us. We may, before the provision of any Service, ask for You to pay us in advance in any amount which does not exceed the total amount to be paid by you for the Service. The limitations contained herein are subject to the terms of the Post Office (Bailiwick of Guernsey) Law, 2001. You hereby indemnify Us, and will agree to keep Us indemnified from and against all costs (including the costs of enforcement), expenses, liabilities, injuries, damages, claims, demands, proceedings or legal costs (on a full indemnity basis) and judgments which We incur or suffer as a result of making any visit to Your premises for the purpose of undertaking the Services. You hereby agree that Our liability to you in tort, contract or otherwise in relation to any Service provided under these Terms and Conditions or any Services Terms and Conditions is limited to the amount paid by You to Us in relation to the provision by Us to You of that Service in the twelve months preceding the date upon which any such liability arose. 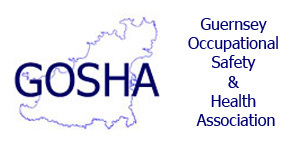 We undertake to make all Our employees, agents and sub contractors aware of the confidentiality of the Confidential Information and the provisions of this clause 5, and, without limitation to the foregoing, to take all such steps as shall from time to time be reasonably necessary to ensure compliance by Our employees, agents and sub-contractors with the provisions of this clause 5. We acknowledge that We are liable for the actions or inactions of all such employees, agents and sub-contractors. You undertake to make all Your employees, agents and sub contractors aware of the confidentiality of the Confidential Information and the provisions of this clause 5, and, without limitation to the foregoing, to take all such steps as shall from time to time be reasonably necessary to ensure compliance by Your employees, agents and sub-contractors with the provisions of this clause 5. You acknowledge that You are liable for the actions or inactions of all such employees, agents and sub-contractors. These Terms and Conditions and any applicable Services Terms and Conditions shall come into force immediately upon the provision of any Service by Us to You, and shall continue until such time as we no longer provide the Service to You. In the event that at any time either party (the "defaulting party") commits a material breach of this Agreement, without prejudice to any other right or remedy the other party (the "non-defaulting party") may have in respect of such breach, the non-defaulting party may terminate this Agreement forthwith upon written notice to the defaulting party provided that, where such breach is capable of remedy, the non-defaulting party must first give the defaulting party written notice ("default notice") specifying the breach and stating that, if such breach is not remedied within the period stated in the default notice (being not less than 30 days), it may terminate this Agreement if at the expiry of the period provided for in the default notice the breach has not been remedied. For the purpose of this Clause 6.2 a breach shall be considered capable of remedy if the party in breach can comply with the provisions in question in all respects other than as to the time of performance (provided that time of performance is not of the essence). Any notice sent by facsimile shall be deemed to have been received on the date it is recorded as having been sent and, if sent by post, to have been received two working days after despatch, and if delivered by hand, at the time of delivery, provided that, where, in the case of delivery by hand or transmission by facsimile such delivery or transmission occurs after 4pm on a customary business day, service will be deemed to occur at 9am on the next following customary business day. Unless otherwise detailed within a product specification, all claims must be notified in writing to Us within 21 days after delivery of the Shipment, failing which no action for damages may be brought against Us. Receipt of the Shipment by the Consignees without written notice of damage on the delivery receipt is prima facie evidence that the Shipment was delivered in good condition. As a condition for Us to consider any claim for damage the Consignee must make the contents, original shipping cartons and packaging available for inspection by Us. All claims for loss, non-delivery or mis-delivery must be received by Us within 90 days after the Shipment is accepted by Us. Within 30 days after notification to Us of the claim, it must be documented by sending all relevant information about such claim to Us. We are not obligated to act on any claim until all transportation charges have been paid; the claim amount must not be deducted from such charges. The right to damages against Us shall be extinguished unless a legal action is brought within two (2) years from the date of delivery of the Shipment or the date the Shipment would have been delivered. These Terms and Conditions and any applicable Services Terms and Conditions constitute the entire agreement and understanding between You and Us in relation to the Services. We have the right to transfer or assign all or any of our rights under these Terms and Conditions or any Services Terms and Conditions to any person upon providing you with seven days notice of any such transfer or assignment. You may not send prohibited items through the international postal service. Prohibitions and restrictions vary from country to country and can sometimes apply to valuable items as well as other apparently ordinary items. Customer Services on 711720 can provide more advice. Some of the most common prohibited items are listed here. You may not send prohibited items through the international postal service. Prohibitions and restrictions vary from country to country and can sometimes apply to valuable items as well as other apparently ordinary items. Customer Services on 711720 can provide more advice. Some of the most common prohibited items are listed in the dangerous goods section - see link below.